what we had: After all the hype, I finally got a taste of the famous Sangkaya Coconut Ice-Cream. Unfortunately, it was post-GST so it cost me RM10.50 because I know that the previous price was RM9.90. I've been told it's cheaper in other states. My verdict: Not bad except that it was a bad idea to choose the coconut flake as one of my three topping of choice as I couldn't stop coughing. But the ice-cream is nice and creamy. Even if you're not a fan of coconut, a scoop of this baby will do no harm. info: Salt 'n Koffie Gallery Cafe, E-83-G.3G, The Square, Jaya One, 72A, Jalan Universiti, Pjs 13, 46200 Petaling Jaya. 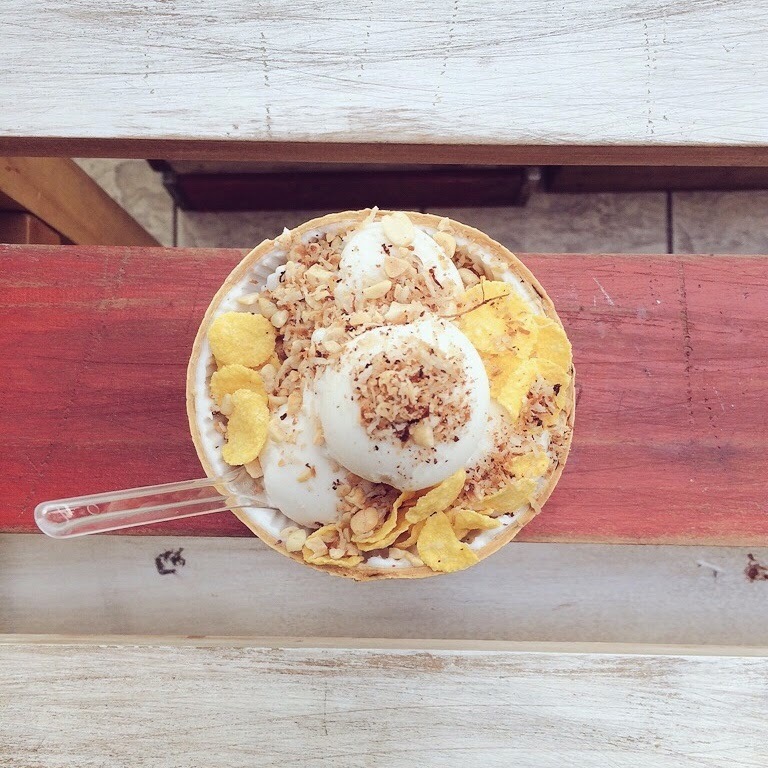 NOTE: Sangkaya Coconut Ice-cream is available anywhere around town.